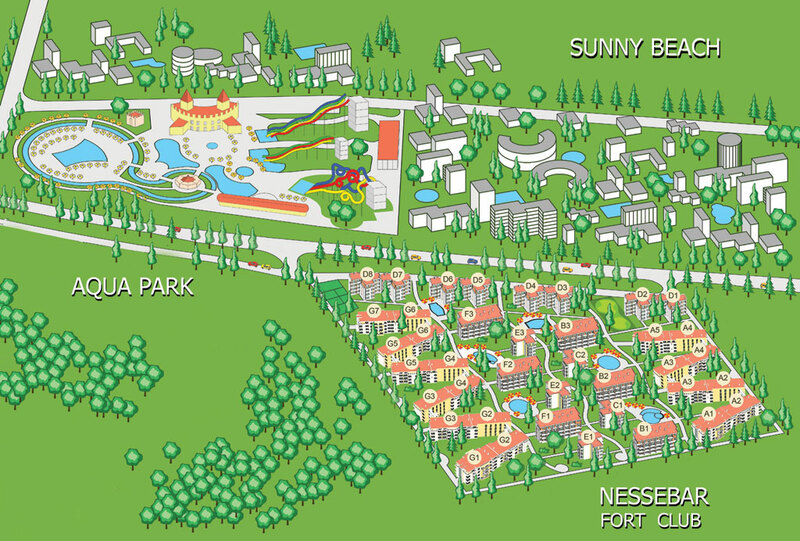 Nessebar Fort Club – it is the only complex in Sunny Beach resort with its own golf course! It is suitable for exciting family vacation during the summer and also for a comfortable year-round living on the best Bulgarian Black Sea resort – Sunny Beach. … And much more – the development and improvement of the infrastructure of the resort continues. The complex is designed for comfortable year round living. It is with private and secured territory. In the reception you can find a variety of paid services – everything that you may need during your stay in Bulgaria!